I am loving the opportunity to learn more about myself right now. I don’t always feel this way as I have become habitual in my ways or as we describe those of us in the older crowd, “Set in our ways”. When we become set, we don’t always know how set we have become and in what ways. Well, I am discovering these things as I take my 16 year old out on her lessons in driving. 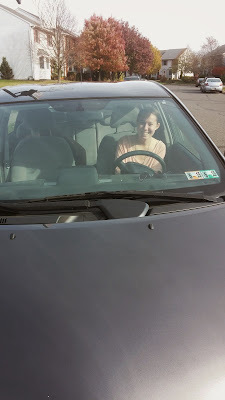 She passed her learner’s permit recently and we have made a few forays into this new experience. 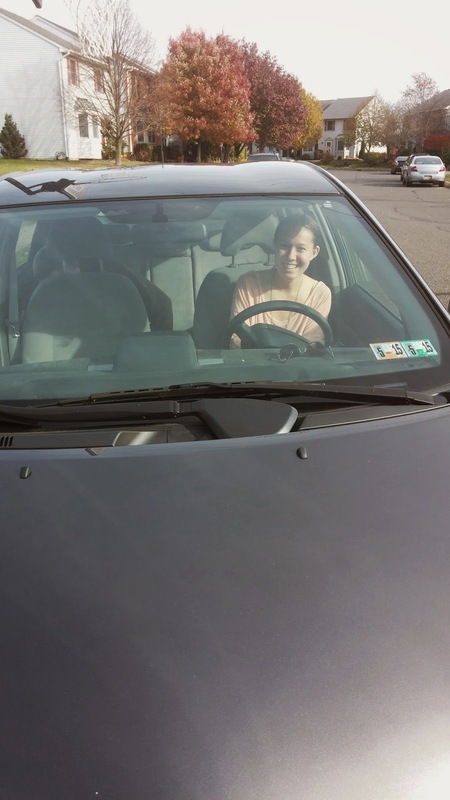 Besides the natural inclination to push down into an imaginary brake pedal on the passenger side of the car, I think I am doing things right with my daughter. I didn’t come into this zen place with her easily and I am not sure I will always be calm throughout this training period. I think my place with her right now has to do with my gratefulness that I get to spend time with her one on one. We follow the typical mom/teenager life at home where she can escape to her room and I can busy myself with chores or computer stuff or be on her back about grades, etc. What I have learned is that my gratitude in these moments, can alter the way I do things habitual or not. And do you see that wonderful smile on her face above, I think she is digging it too. Your homework, take a problem you are having or a relationship that is difficult for you right now and think of something in that situation that you could be grateful for. Journal that down and the situation and bring that piece of gratitude up as you deal with it. Maybe it changes the habitual way you always dealt with it. I will keep you up to date on her progress and the roads we travel together. On the spot relaxation, soothing. Index and middle fingers of each hand lay across the eyes. Can place one at brow line and one on bridge of nose. Ring fingers touch at upper lip. Thumbs gently placed at indentation by ears. The pinkie fingers can rest on the lower part of the face or just hang there. Breathe in and on the exhale, make a buzzing sound until all air is exhaled. Begin again with the deep inhale, exhale with the buzzing sound. Continue for at least 5 breaths until you feel a sense of peace, calm wash over you. If you feel like you are forcing the exhale, come back to your normal breath. Set up bolster or firm pillow lengthwise on mat, add neck pillow to top. Place pillows or rolled up blankets on either side to support legs. Recline over bolster or pillow and bring soles of the feet together, with bent knees, open legs to either side. Strap can be added to contain the legs and deepen pose. Place around your midsection and other end goes around edges of feet. Tighten so that legs get a feeling of being held up. Wrap a blanket around your feet to create a feeling of containment. Stay in the pose for 10 to 15 minutes. Stack one or two blankets to the side folded in half. As you release to the floor, lengthen the body and then bend the leg at 90 degree angles to lay on the blankets to the side. Arms can come to goddess position, head turned to the side or stack hands as a pillow. For those with tight shoulders, extend arms by the sides of the body. When you need to turn the head, do so with a soft inhalation.